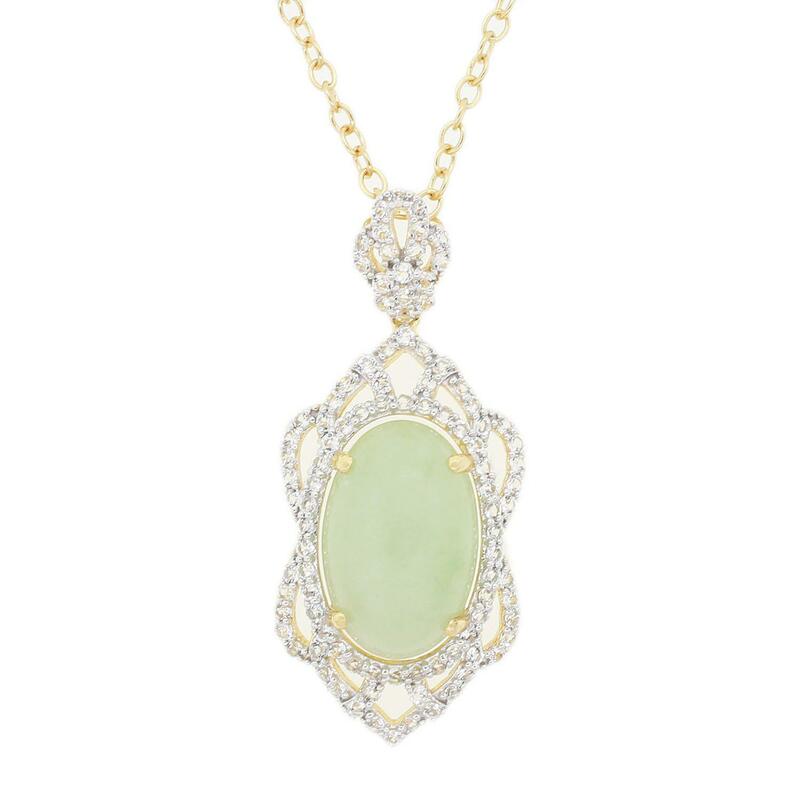 One electronically tested 925 silver ladies cast & assembled jade & topaz pendant with chain. 18 Trademark is Orianne. Identified with markings of "925". Condition is new, good workmanship. One prong set oval shape cabochon Jadeite, measuring (20.00 x 13.00) 10.00mm, approximate weight 18.47ct. good plain green with light tone, white clouds, translucent, good proportion, good polish and good finish. One hundred prong set round mixed cut natural white topazs, measuring 1.60 - 1.60 x 0.00 mm, approximate total weight of 2.31ct., clarity is eye clean, colorless, very slightly grayish, white color, (GIA W 0/3), cut is good. Total Weight of Colored Stones 2.31 ct.
Total Weight of Jade 18.47 ct.